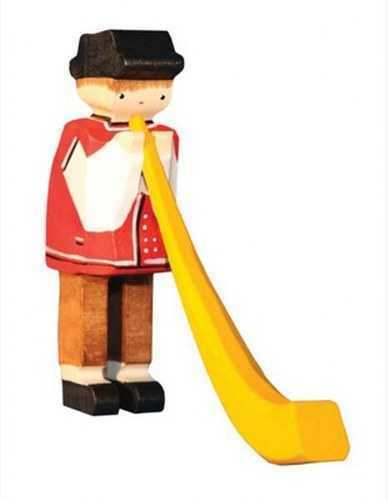 The figurines are representative of the iconic folklore tradition of Alpine Switzerland. Toys are hand-made from wood that was grown in Switzerland and the paint is 100% natural water based. Alphornist Size: 4.5” h x 5” w Swiss Made! Service Area: New Glarus, Janesville, Freeport, Rockford, Middleton, Whitewater, Fort Atkinson, Roscoe, Monroe, Platteville, Verona and surrounding communities.